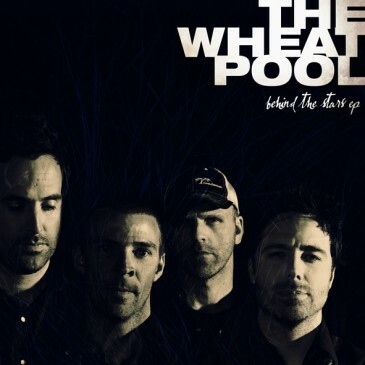 Edmonton’s the Wheat Pool are back to whet hungry appetites with a ‘fan friendly’ offering in the form of a five-song EP entitled Behind The Stars, featuring a couple of unreleased tracks as well as two versions of Neil Young’s “Helpless” and an alternate take on a song from last years full-length CD, Hauntario. The unreleased songs, “Woman” and “Edith Cavell” are quite nice, showcasing the band’s delicate alt-country romantic trappings at their best, and “Evangeline” is a pretty, stripped down alternative to the meatier version found on Hauntario. The two versions of “Helpless”, apparently a favorite at live gigs, are faithful and respectful takes on the original. The Wheat Pool’s soft-focused Canadian sound is appealing and easy to digest and they really do know how to write a good song. Offering a little back to the fans for mere pennies shows that they care about who is listening and what they’d like to hear, a sure sign that this band is far from self-serving. If you’re already a fan of what this band does then log onto their website and download this digital only release, because this is all for you. But if you’re looking for a more stylish and substantial introduction to the band, track down some of their earlier, more palatable output and work your way up from there.